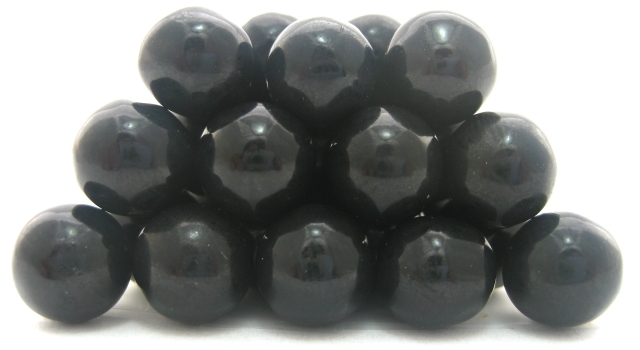 Sixlets are the candy coated chocolate flavored candies back from when we were kids, and now they are available in a great black decorator color. Each candy ball has a finely polished shiny finish making it an attractive decorating candy. This Black chocolate candy is a great accent color by itself. Mix with White for a traditional B & W theme or add in Hot Pink for a retro look. Mix it with any of our other decorator colors for a custom look for a sports team or any party theme. Case Count: 6 - 2lb. bags (approx. 6,450 pieces).